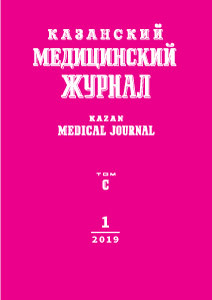 Authors: Zarubina T.V., Koroleva Y.I., Rauzina S.E., Shvyrev S.L. The article is devoted to semantic content of integral anamnesis - basic part of national integrated electronic health record. Integral anamnesis is a formalized set of the most important clinical data of a patient aimed at safety and continuous medical care both emergency and elective care. A short review of international projects of implementation and trans border exchange of key information about a patient is presented. Information content of integral anamnesis is presented which is developed in our country and includes 15 main sections: disability, benefits, social factors, addiction and occupational hazards, significant vital parameters, blood types and rhesus factor, pathological reactions, vaccination and immunization, epidemiological anamnesis, significant (dispensary) diseases, surgical interventions, medical devices and implants, pregnancies and deliveries, current medications and non-drug treatment. Administration, structure, problems, readiness of reference materials for coding of information presented in integral anamnesis are described. At the moment most of the necessary reference materials are finished and available on the portal of normative-reference information of the Ministry of Health of the Russian Federation (http://nsi.rosminzdrav.ru/): 20 basic and 7 additional ones. At the current stage it provides interoperability of medical information systems in integral anamnesis. Such time-consuming reference books as surgical interventions, instrumental diagnostic studies, federal reference book of medications are being actively developed. The section «Epidemiological anamnesis of a patient» stays practically unformalized. The first step in this direction is development of a reference book of immunobiological medications for specific prophylaxis, diagnosis and treatment. The aim of the study of semantic interoperability for integral anamnesis was reached by development of 27 reference books posted on the federal portal of normative-reference information of the Ministry of Health of Russia; the next stage should be development of technologies of formation and upgrade of the information of integral anamnesis. normative-reference information, integral anamnesis, integrated electronic health record, medical information system. epSOS. http://www.epsos.eu/ (access date: 15.02.2018). Trillium Bridge. http://www.trilliumbridge.eu (access date: 15.02.2018). ONC Standards & Interoperability Framework (S&I). https://www.healthit.gov/sites/ default/files/onc_si_introduction_for_ccda.pdf (access date: 15.02.2018). Sequoia eHealth Exchange. http://sequoiaproject.org/ehealth-exchange/ (access date: 15.02.2018). AG Patient Summary. https://wiki.hl7.at/index.php?title=AG_Patient_Summary (access date: 15.02.2018). Moharra M., Almazán C., Decool M. et al. Imple­mentation of a cross-border health service: physician and pharmacists' opinions from the epSOS project. Fam. Pract. 2015; 32 (5): 564–567. doi: 10.1093/fampra/cmv052. © 2019 Zarubina T.V., Koroleva Y.I., Rauzina S.E., Shvyrev S.L.